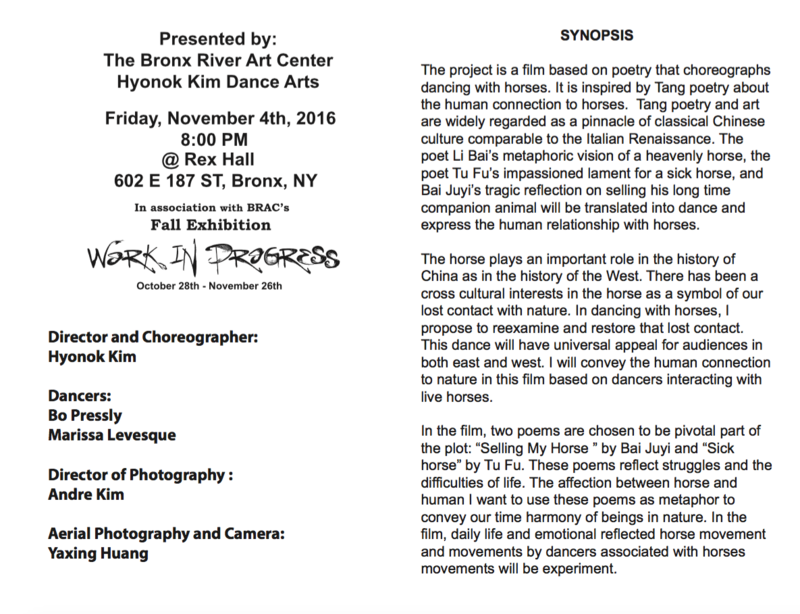 Join us after our reception for Work In Progress Part 1, on November 4th, 2016, for a beautiful dance performance and film screening by Hyonok Kim. 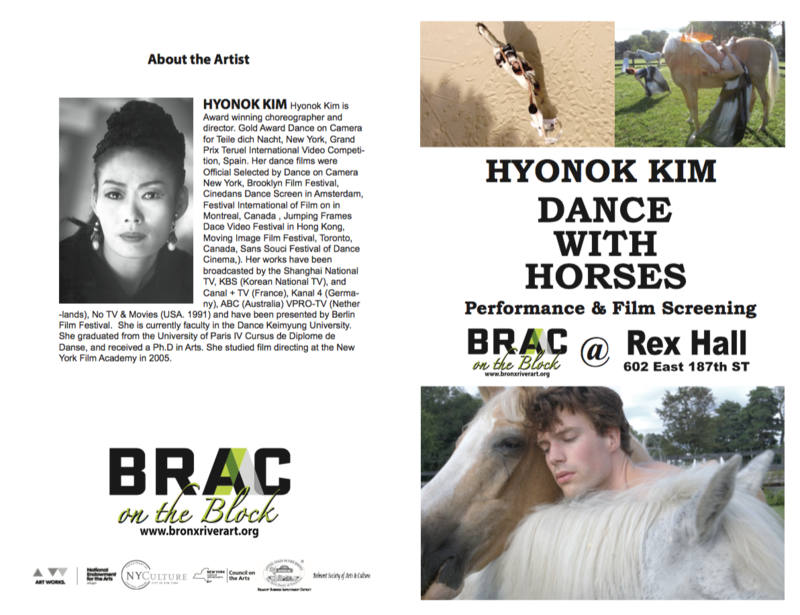 We are excited to present the very first screening and performance of Hyonok Kim's new film, DANCE WITH HORSES. 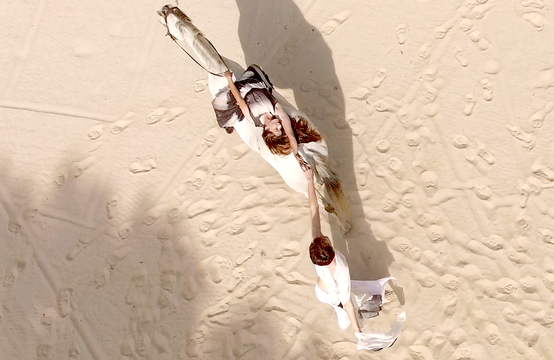 The film is based on Tang poetry, a pinnacle of classical Chinese culture. The poet Li Bai's metaphoric vision of a heavenly horse, the poet Tu Fu's impassioned lament for a sick horse, and Bai Juyi's tragic reflection on selling his long time companion animal, will all be translated into dance and express the human relationship with horses.